Here are some quick guides on how to choose and style your summer cocktail dress when you are in the rush. Well, that’s sound familiar like most of my situation. When in doubt, I always go for black or white; that’s the most versatile color and it can easily match with the party’s theme. Summer is the season that many of us are in the mood and excited to go out, party, vacation and have fun. So short flowy dress with lace will be perfect for all these occasions; it’s comfy, effortless and feminine. Well I got this Summer Women Ladies Lace Hollow Out Loose Casual Cocktail Party Mini Short Dress from tosave.com. The moment I saw this dress online, I am like… hey I want it because it look so chic and comfy to me. Just slip in and I am ready to go. It’s available in white and black; both are my favourite color. I already have something similar in white so this round I thought the black one is perfect. 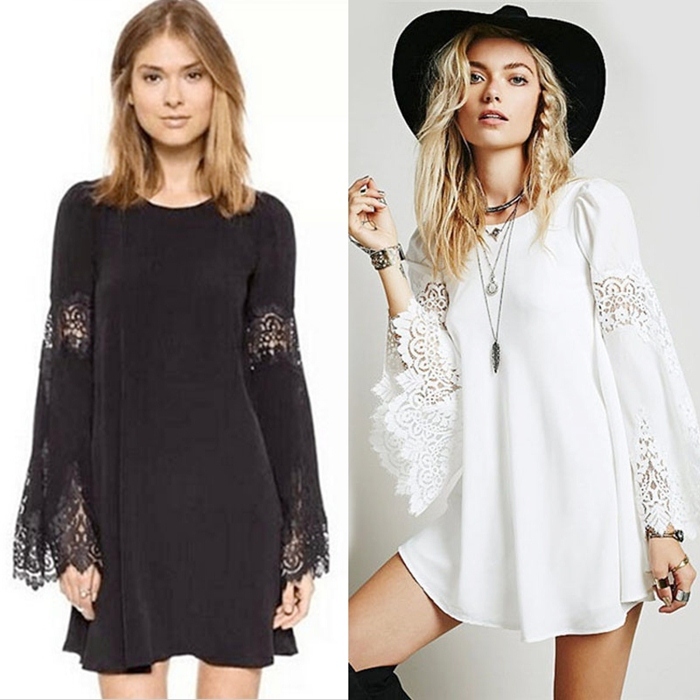 I love the lace on the sleeves, it accentuate the whole outfit. For casual outing I paired it with a sling bag, it looks more carefree and effortless. Well, this dress is also suitable for evening cocktail party where carry a classier handbag and add some accessories. Another idea is to wear it with a hat and paired it with knee-high boots will completely change the look, more chic and vigor. Plus I think I can add in some braids but my hair is not long enough so perhaps I need some clip in hair extensions.